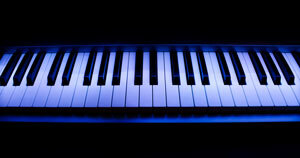 Synths are used heavily within Pop, EDM, Hip-Hop, and many other genres. Composing music using synth presets is extremely time-effective, but relying too heavily on them can hinder your creative freedom. Being able to efficiently create original synth patches, as well as clone other synths that you hear, is an invaluable asset when collaborating with other artists, and when writing your own songs. Although its less expensive to start off using plugin synths, as opposed to analog synths, plugin synths tend to come packed with so many controls that it's overwhelming. You’re faced with a wall of knobs, faders, and miscellaneous controls labelled with complete nonsense. 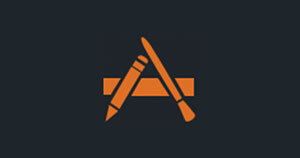 This experience is quite a turn-off and can deter a lot of people from learning synthesis. Luckily, synthesis can be learned in a systematic, organized manner. Each synth is unique in it's design and the placement of it's parameters, but for the most part, they all function based on a standard set of principles and controls. If you understand the fundamentals of synthesis, you can learn how to use pretty much any synth by familiarizing yourself with it's interface. Many synths will include an oscillator section, voicing section, envelope section, LFO section, filter section, and effects section. I’ll be walking you through the fundamentals of synthesis using Serum which is a plugin synth developed by Xfer Records. I’ve chosen this synth because it’s one of the most popular synths on the market. 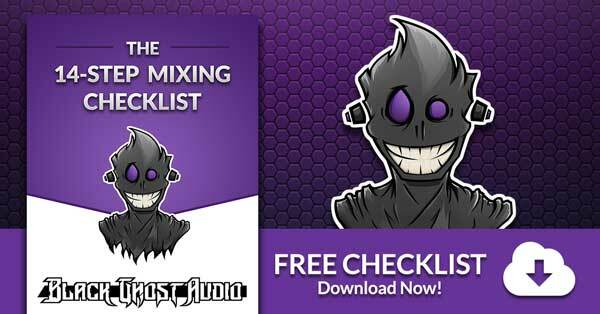 You can download a 3 day trial of Serum from Splice for free that will allow you to follow along with this guide. Alternatively, you can buy Serum for $189 via Xfer Record’s website, or you can rent-to-own Serum for $9.99/month via Splice. I hope to familiarize you with the concept of synthesis as a whole and get you comfortable using some of the common parameters found amongst a number of synths. You can always refer back to this guide if you need to refresh yourself on a concept regarding synthesis, so make sure to bookmark this page. To effectively use a synth, you need to understand what makes it tick…. or more accurately: oscillate. A synth is merely a collection of different hardware components packed into a user-friendly unit. Oscillators, envelopes, LFOs, filters, and effects are just some of the components that make up many different synths. Modular synthesis is a type of synthesis that lets you purchase these components individually and connect them together using patch cables. Many die-hard synth lovers swear by modular synthesis because it provides a ton of creative freedom. Learning how these individual components operate will make using any synth a breeze. The oscillator section of a synth generates waveforms at various amplitudes and frequencies. When creating a new patch, your oscillators are a great place to start. They’ll allow you to achieve the fundamental character of the sound you're looking for by selecting an appropriate waveform. Lots of synths use basic wave shapes like sine waves, triangle waves, saw waves, and pulse width waves. Others take this a step further and provide you with access to all kinds of different waveshapes. You can gather more information about the waves you’re using with a spectrum analyzer like SPAN by Voxengo, and an oscilloscope like s(M)exoscope by Smartelectronix (both of which are free to download). A spectrum analyzer displays signal amplitude as it varies by signal frequency, and an oscilloscope displays the waveform of electronic signals by plotting instantaneous signal voltage as a function of time. A spectrum analyzer is going to display information about the fundamental frequency, as well as its overtones for each of the following waveforms. 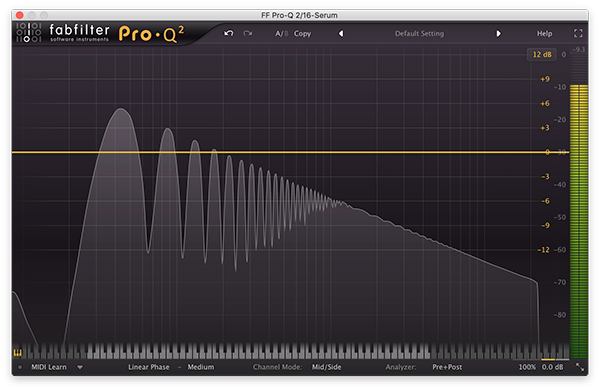 The term overtone refers to any frequency greater than the fundamental frequency of a sound. A number of these overtones are known as harmonics. If an overtone is a harmonic, it means that it’s part of the fundamental frequency’s harmonic series. A harmonic series is the sequence of sounds in which the frequency of each sound is an integer multiple of the fundamental frequency (the lowest frequency); meaning the fundamental frequency dictates the harmonic series. *A harmonic series can continue beyond eight harmonics. Each simple waveform that I’ll be covering produces a unique harmonic series, which is what gives each waveform its distinct sound. Some waveforms produce only even harmonics (second harmonic, fourth harmonic, sixth harmonic, etc. ), while others produce just odd harmonics (third harmonic, fifth harmonic, seventh harmonic, etc.). Many waveforms produce both even and odd harmonics. Each even-order harmonic jumps an octave from the last, starting at the fundamental; the result is a harmonious sound. The fundamental frequency will determine the harmonic overtone series. For example, if the fundamental frequency is 100 Hz, it’s even-order harmonics will be 200 Hz, 400 Hz, 600 Hz, 800 Hz, etc. The second-order harmonic is always two times the frequency of the fundamental. The fourth-order harmonic is four times the fundamental. The sixth-order harmonic is six times the fundamental, etc. Odd-order harmonics tend to sound more dissonant than even-order harmonics based on their relationship to the fundamental frequency; they create intervals with the fundamental that are much more dissonant than the octave jumps created by even-order harmonics. Instruments like guitar and piano do not produce tones with a pure harmonic series. They create complex tones that contain inharmonic partials; overtones that do not match an ideal harmonic. It can be difficult to determine the overall pitch of a note if these inharmonic partials overpower the fundamental frequency and its harmonic overtones; our brains rely on this information to decipher the pitch of a sound. Oscillators generate an electrical current (waveform) that repeats continuously unless affected; this waveform can be visually represented using an oscilloscope. An oscilloscope displays the signal amplitude and frequency of a waveform over time. Using an oscilloscope, you can zoom in on a waveform to view a snapshot of it’s wave cycle at varying amplitudes and frequencies. Sine waves, or sinusoidal waves, produce a soft, round, warm tone. They’re often used to create sub basses due to how pure they sound; this characteristic translates well in the low-end of many songs. On a spectrum analyzer, a pure sine wave will display a fundamental frequency and no overtones. On an oscilloscope, a pure sine wave will have round peaks (mountains) and troughs (valleys). Smooth periodic oscillation is what characterizes a sine wave. Triangle waves produce a tone that’s similar to sine waves, but that has some edge, and fuzz to it. On a spectrum analyzer, a pure triangle wave will display a fundamental frequency and only odd harmonics. On an oscilloscope, a pure triangle wave looks similar to a sine wave, but it has pointed peaks and troughs. Saw waves, or sawtooth waves, produce a tone that's “buzzy” and that sounds somewhat like a trumpet. On a spectrum analyzer, a pure saw wave will display a fundamental frequency with even and odd upper harmonics. 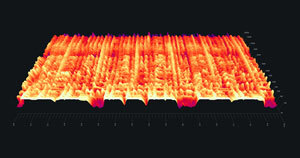 On an oscilloscope, a pure sawtooth wave typically ramps upwards from the bottom until it reaches the top, and then immediately returns to the bottom again. In reverse, or when the sawtooth wave is inverted, the sawtooth ramps down. 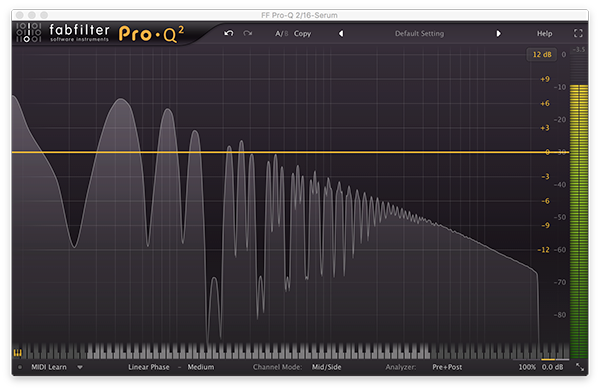 Square waves sound somewhat like a sawtooth wave, but significantly rounder, and fuller. This is due to the lesser presence of odd-order harmonics. 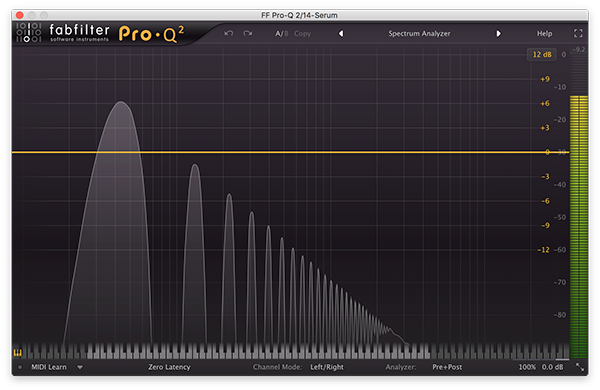 On a spectrum analyzer, a pure square wave will display a fundamental frequency and predominantly odd harmonics. A triangle wave contains only odd harmonics, but the higher harmonics roll off much faster than a square wave. Due to the harmonic similarity between square waves and triangles wave, it’s possible to make a square wave sound like a triangle wave using a low-pass filter. On an oscilloscope, a pure square wave will cycle between its peaks and troughs with little to no transition period. A pulse wave is a type of waveform that includes square waves, and other periodic, but asymmetrical waves. Square waves have a duty cycle of 50%, but that’s not the case for all pulse waves; a half pulse in Sylenth1 has a duty cycle of 75%, whereas a quarter pulse in Sylenth1 has a duty cycle of 87.5%. Pulse waves can sound precisely like square waves (because sometimes they are square waves), or they may take on the sound of a “buzzy” variation of one. On a spectrum analyzer, a pulse wave may look similar to a square wave, but its harmonic structure can differ depending on the wave’s duty cycle. On an oscilloscope, pulse waves will cycle between their peaks and troughs with little to no transition period. 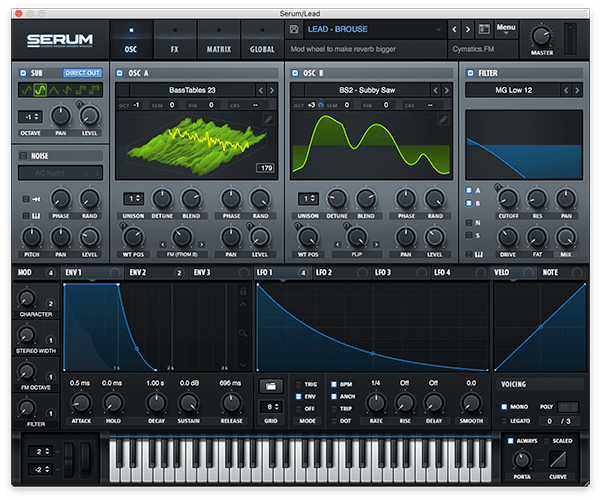 Serum is a wavetable synth, which means it's capable of producing all kinds of waveforms; you can even import images and use them as wavetables. Recreating the sound that a wavetable synth generates can prove difficult due to how many waveforms it’s capable of producing. Most Dubstep synth patches use very complex wavetables, and something like an envelope or LFO is used to modulate throughout the wavetable to create interesting tones. Voicing typically refers to the simultaneous vertical placement of notes in relation to each other. From a music theory perspective, voicing refers to how you stack chords. For example, you could play a C major triad in close position (CEG) with C on the bottom, E in the middle, and G on top. Alternatively, you could play a C major chord in open position, which is a different voicing. To play a C major chord in open position (CGE), you’d move the E up an octave so that the new chord stack contains C on the bottom, G in the middle, and E on top (now an octave higher). The voicing section of a synth generally allows you to control its polyphony; the number of notes that can be played at once. Synths that are monophonic only produce one note at a time (in some cases its one note per oscillator), while synths that are polyphonic produce multiple notes at a time. For a manufacturer to increase polyphony count on an analog synth, it can be quite expensive because it requires them to build more signal paths. If they wanted to expand a synth’s polyphony count from 8 to 16, they would potentially have to double up on a number of the synth’s hardware components. The Moog One comes in two versions: expensive, and really expensive. I mean… 8-voice ($5,999) and 16-voice ($7,999). The price difference based on the voicing alone is a testament of the expense to the manufacturer (or a unique marketing scheme). Software synths typically allow for a high polyphony count because the only expense to the manufacturer is the time it takes to program the synth. Serum allows for a polyphony count of up to 32, but a voice count of up to 1088 when both oscillator sections, the sub section, and the noise section are engaged. Clearly, voice count refers to something slightly different than polyphony count. 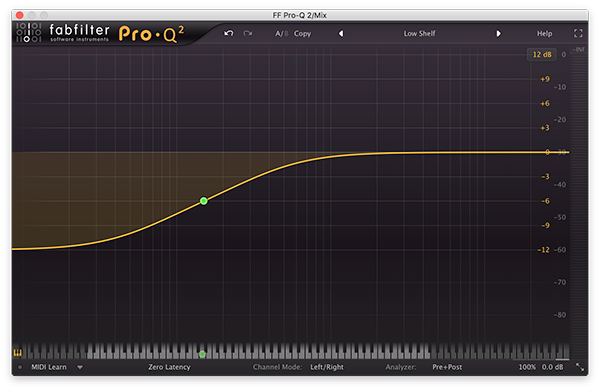 In Serum, if you only engage Oscillator A and set the polyphony count to 1, by default, it will produce only one voice. However, if you turn up the Unison amount on Oscillator A, it can produce up to 16 voices on a single MIDI note. You now have a situation where your polyphony count is 1, but your voice count is 16. Detuning Oscillator A’s voices using the Detune knob will make it easier to distinguish the voices from one another. If you turn up Serum’s polyphony count to 2 and press two notes simultaneously, the total number of potential voices is now 32. The voice count of each section (Oscillator A, Oscillator B, Sub, and Noise) is multiplied by the polyphony count, and those numbers are then all added together to provide a total potential voice count that’s displayed beneath the polyphony count. 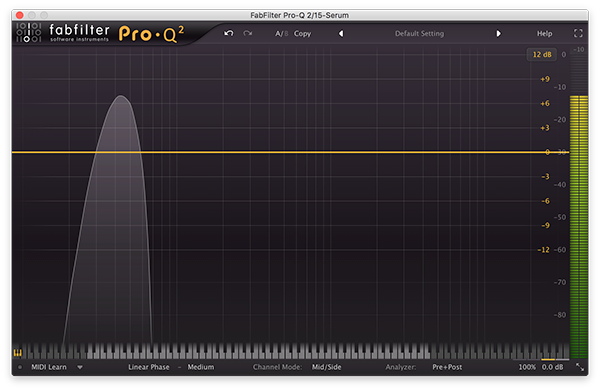 It’s generally best to set the polyphony count as low as possible to save on CPU. 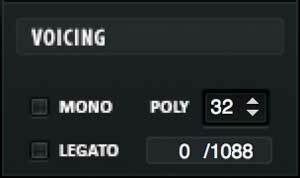 For example, if you’re only going to be playing triads with Serum, you can set the polyphony count to 3; with every section in Serum engaged and all Unison knobs maxed out, that still allows for up to 102 voices. 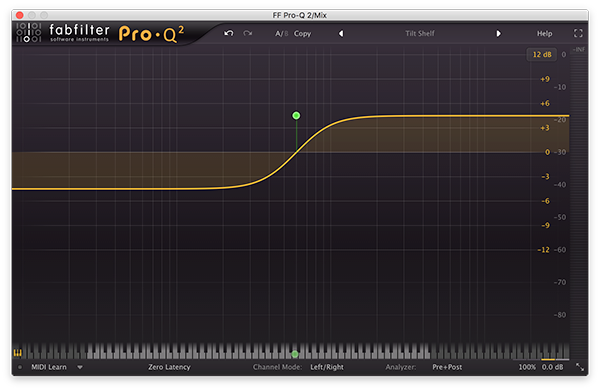 A synth’s envelope section allows you to control amplitude over time. 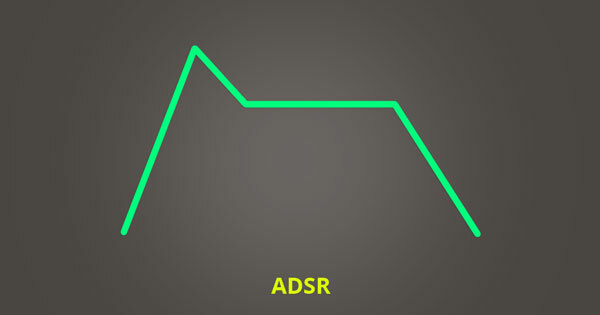 You can set various ADSR (attack, decay, sustain, and release) values to manipulate the amplitude envelope of a sound. ADSR can be visualized using a graph that plots amplitude over time. The amplitude of an envelope always starts at zero, rises to a maximum value, drops to a sustained level, and then returns back to zero; this process is controlled using various time values (attack, decay, release), and a single amplitude value (sustain). In Serum, Envelope 1 controls the synth’s volume envelope. 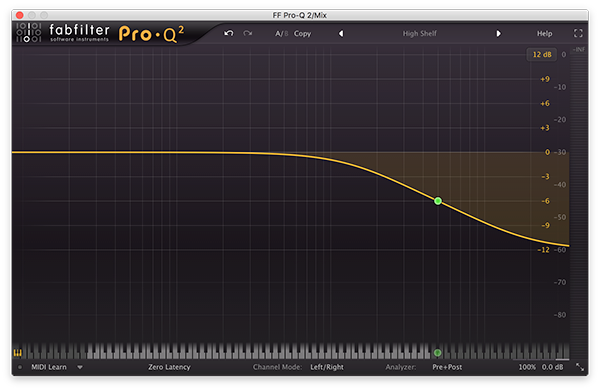 This allows you to shape the volume of Serum’s output over time and decide whether you’d like to create a pluck, pad, lead, etc. When converting a pad into a pluck, manipulating the volume envelope is a good place to start. Envelopes are not reserved solely for controlling volume; they allow you to control various synth parameters over time. 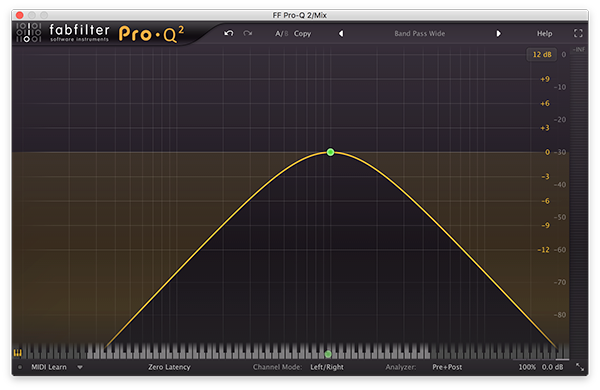 For example, you could map Envelope 1 in Serum to Oscillator A’s Wavetable Position. This would cause Serum to automatically sweep the wavetable position of Oscillator A using the same envelope settings that are controlling its volume. This is an excellent way of making your synths feel “alive.” You could also create an entirely different envelope shape using Envelope 2 or 3 and apply it to various parameters within Serum. 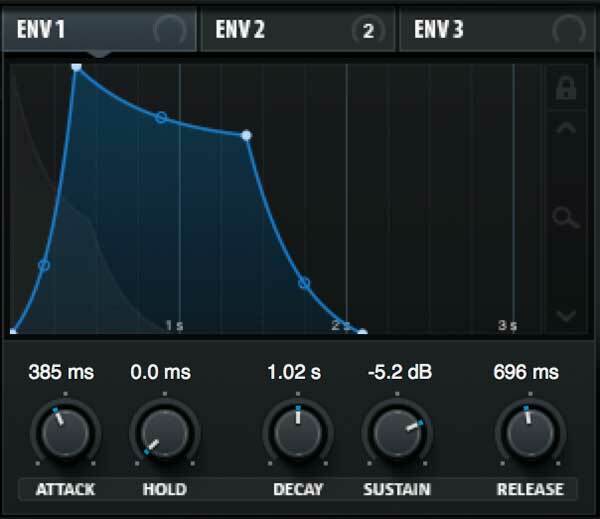 It's possible to apply an envelope to almost any parameter in Serum by clicking and dragging the crosshair of an envelope to a parameter you’re trying to effect. The setting you drop the crosshair on will have a blue halo appear beside it that you can drag to modify the depth of the envelope’s effect. 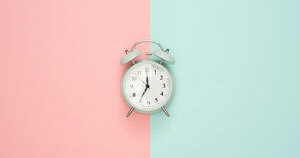 Attack time determines how long it takes the envelope to reach maximum amplitude. 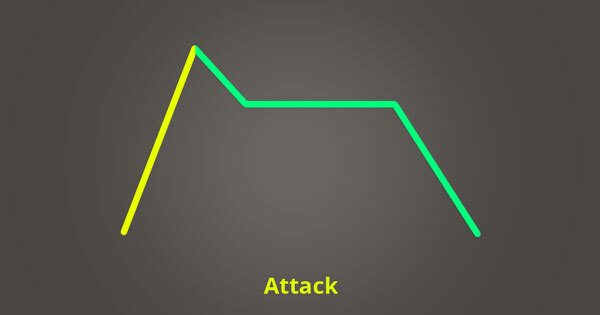 For a patch that you want to hear as soon as you trigger a note, you’ll want a short attack time for the volume envelope. For a sound like a pad, you may want to use a longer attack time, which would cause it to swell to full volume. 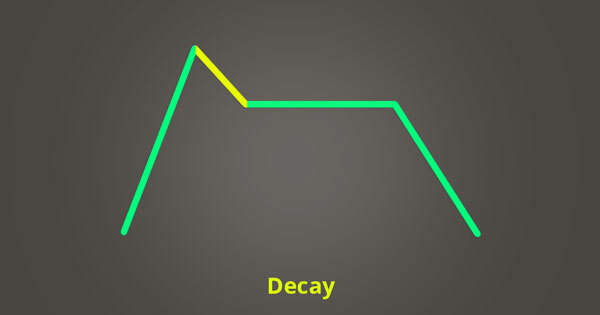 Decay time determines how long it takes for the amplitude to transition from its maximum value to the level set with the sustain knob. 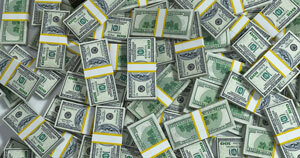 Sustain determines the level at which your amplitude will remain constant after it has attacked, and decayed. Release time determines how long it takes your sustained amplitude level to diminish to zero once you’ve stopped triggering your synth. The LFO (Low-Frequency Oscillator) section of a synth creates a rhythmic pulse or sweep that allows you to control the synth's parameters over time. An LFO can be applied to parameters in Serum the same way that an envelope can, but the difference is that an LFO isn’t based on ADSR. An LFO will continuously effect a parameter, and modulate it based on the shape and rate of the LFO. An LFO typically comes in the form of a sine wave, triangle wave, saw waves, or pulse wave. 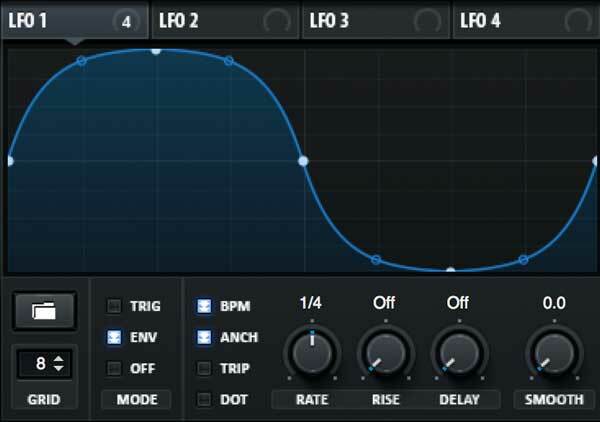 However, Serum allows you to make custom LFO shapes, which means you aren’t limited in your modulation options. 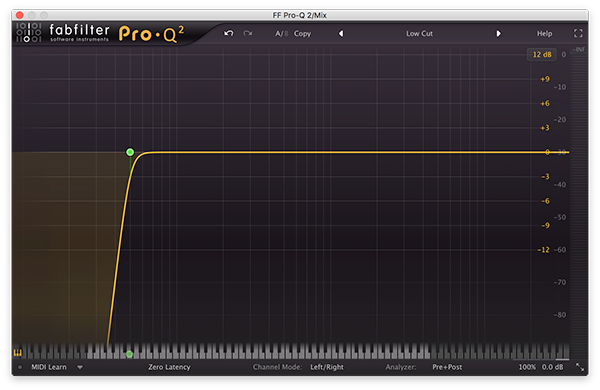 An LFO is typically used to apply audio effects like vibrato, tremolo, and phasing to your audio signal. 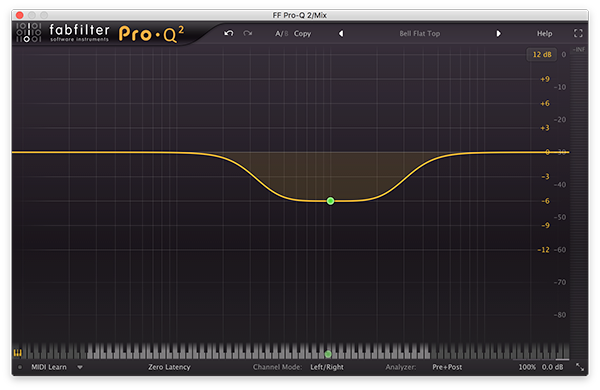 If you wanted a filter to open and close every quarter note, you could program Serum to do so using an LFO. LFOs are great for adding texture to your patches and are an excellent way to make your synths come to life. The filter section of a synth cuts, or in some cases boosts the frequencies of the signal generated by your oscillators. 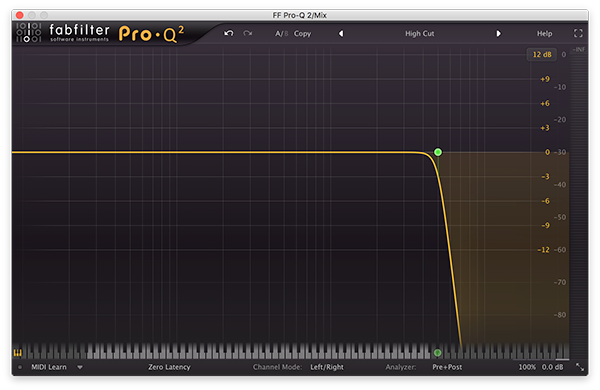 Filters are a fundamental part of subtractive synthesis because they allow you to sculpt the character of your sound. A high pass filter passes frequencies that are higher than the cutoff frequency and attenuates frequencies lower than the cutoff frequency. High pass filters are also sometimes referred to as low cut filters. A low shelf filter passes all frequencies, but increases or decreases frequencies below the shelf frequency by a specified amount. A bell filter boosts or attenuates frequencies within a certain range of its center frequency. A band pass filter passes frequencies within a certain range of its center frequency and rejects (attenuates) frequencies outside that range. A notch filter or band reject filter, rejects (attenuates) frequencies within a certain range of its center frequency, and passes frequencies outside its range. 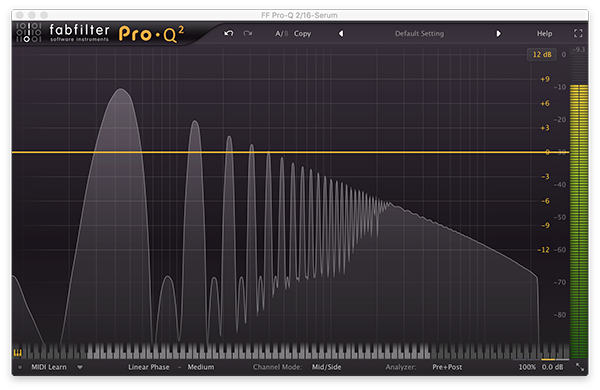 A tilt filter boosts frequencies above its center frequency and attenuates frequencies below its center frequency. It can also work oppositely and attenuate frequencies above its center frequency and boost frequencies below its center frequency. A high shelf filter passes all frequencies, but increases or decreases frequencies below the shelf frequency by a specified amount. A low pass filter passes frequencies that are lower than the cutoff frequency and attenuates frequencies higher than the cutoff frequency. Low pass filters are also sometimes referred to as high cut filters. Synths often come loaded with some effects that you can add into your signal path. 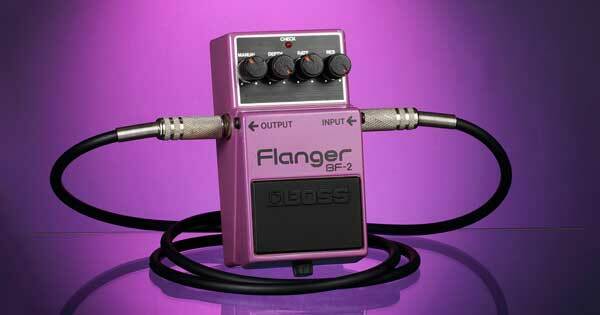 Common types of effects include delays, reverbs, choruses, phasers, EQs, compressors, and distortions. I’m not going to dive too heavily into effects because they’re often quite unique to the synth, and some synths don’t even contain effects. Serum has many effects, and if you like them, you can download a separate plugin from Xfer called Serum FX that allows you to apply Serum’s effects to audio tracks independent of the synth engine. You can find Serum FX in your Xfer account once you've purchased a copy of Serum. 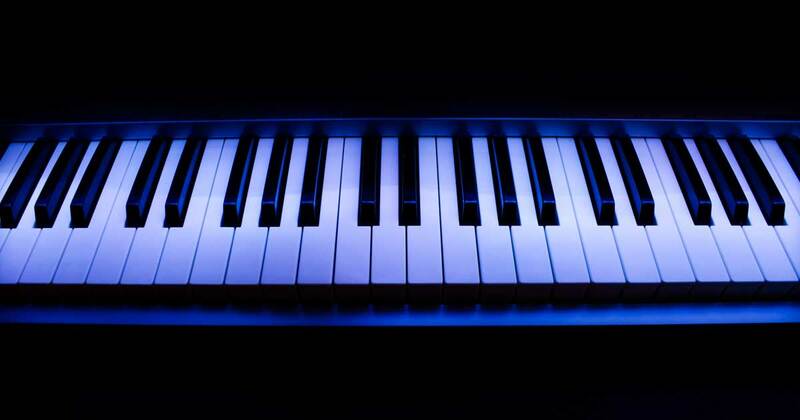 There are various different types of synthesis, and the type of synthesis used by a synth greatly effects the character of the sound it produces. When attempting to re-create a synth patch (such as from a song you hear), it’s crucial that you re-create the sound using a synth that employs the same type of synthesis. Ideally, you want to use the exact same synth you’re trying to emulate, but information regarding the synth used in your reference material isn’t always available. Sometimes you’ll need to try out a few different types of synths until you come across one that can achieve the sound you’re trying to create. When I get my hands on a new synth, the first thing I do is identify what types of synthesis it performs; this information is usually apparent based on the controls the unit offers. 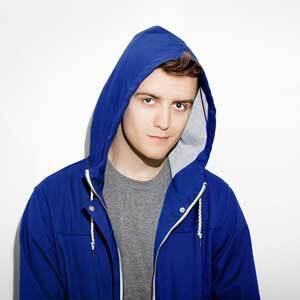 Serum is capable of multiple types of synthesis including subtractive, wavetable, and sample-based synthesis. Identifying the type of synth you’re using will determine how you go about your sound design process, and ultimately shape your workflow. Subtractive synthesizers generate harmonically-rich partials that are attenuated using a filter; this alters the timbre of the sound. The human voice is a prime example of subtractive sound design. Your vocal cords, or vocal folds, act as an oscillator and your mouth and throat operate as a filter. When you change the shape of your mouth, the frequency response of your filter changes, resulting in an attenuation of frequencies. When you make the sound “ahhh” using your mouth, the sound produced is rich in harmonics. In comparison, when you make the sound “oooh,” many of the harmonics that were present in the “ahhh” sound are reduced in amplitude. This is an example of your mouth acting as a filter. Daniel Rothmann has an excellent video tutorial on subtractive synthesis that I highly recommend checking out. It will also review many of the previous sections of this guide including Oscillators, Envelopes, LFOs, and Filters. Additive synthesizers create timbre by adding sine waves together. They generate upper harmonics (in the form of sine waves) based off a fundamental frequency. You can then manipulate each harmonic to change the tone of the overall sound. The concept of additive synthesis may seem somewhat abstract at first, but with a bit of explanation, it’s quite easy to wrap your head around it. Audio Masterclass has a phenomenal video tutorial on additive synthesis that explains the concept from start to finish. Wavetable synthesizers create periodic waveforms. They employ a method to modulate the selected waveform in the wavetable. The position in the wavetable selects the single cycle waveform. If this makes absolutely no sense to you, that’s ok. Basically, wavetable synthesis allows you to sweep through something known as a wavetable and playback a snapshot of it. A wavetable is essentially a bunch of waveforms squished together. 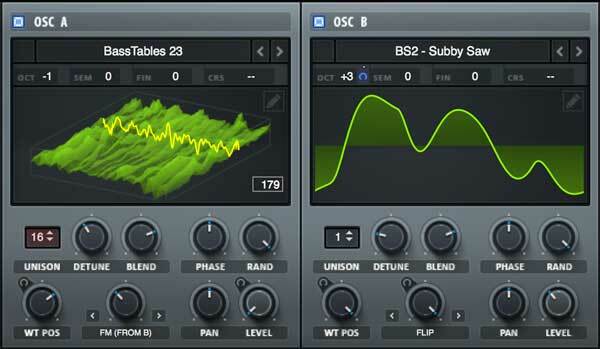 In Serum, the Wavetable Position knob allows you to cycle through these waveform snapshots. You can use an envelope, LFO, or other forms of modulation to affect the wavetable position. 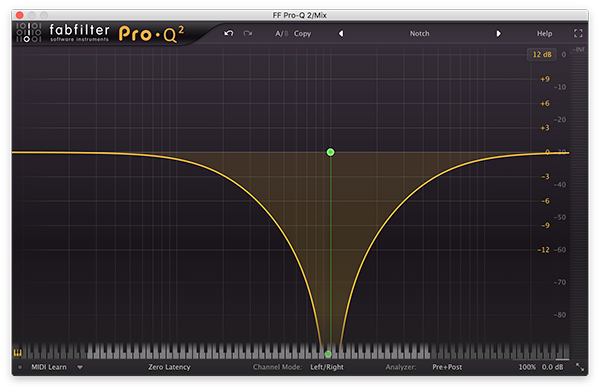 Digital interpolation between adjacent waveforms allows for smooth changes of the timbre of the tone produced. On Cloud Sine covers Serum’s wavetables in detail, and provides a great general explanation of how wavetable synthesis works. If you plan on using Serum as one of your main synths, it’s definitely worth your time to watch On Cloud Sine’s tutorial. This video is slightly lengthy, but the fundamentals of wavetable synthesis are covered in the first few minutes. FM (Frequency Modulation) synthesizers use a modulator frequency to change the timbre of a simple waveform (like a sine, square, triangle, or saw) called the carrier. The frequency and amplitude of the modulator affect the frequency of the carrier which can create a vibrato effect. The oscillators involved in FM synthesis are often referred to as operators. 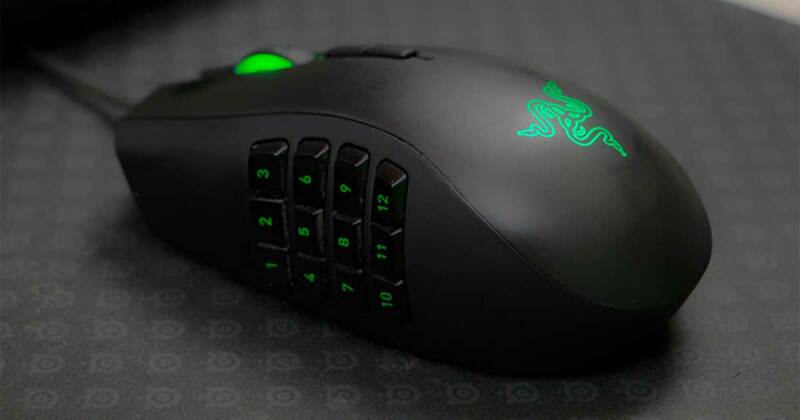 You don’t need to stop with two operators; one being the modulator, and one being the carrier. You can chain together multiple operators, and have them modulating each other in all sorts of ways. FM synths allow you to create incredibly complex routings, making them great for creative sound design. Andrew Huang has a video on FM synthesis that breaks the concept down using post-it notes and string. Physical modeling synthesizers compute a waveform using a mathematical model that consists of a set of equations and algorithms to simulate a physical sound source. This sound source is often a musical instrument. These types of synths allow you to change specific characteristics of the modeled sound source, such as the material it’s made out of, the velocity at which you hit the material, microphone position, etc. Slam Academy put out a video that walks through physical modeling synthesis using Collision, which is an instrument found in Ableton Live. If you’re interested in getting your hands on some third party physically modeled synths, check out the products offered by Applied Acoustics; they helped create Collision in collaboration with Ableton. 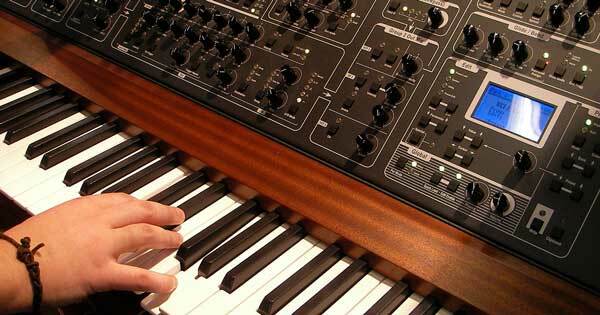 Sample-based synthesizers use a form of synthesis that’s similar to subtractive synthesis. They differ in that the seed waveforms are sampled sounds or instruments instead of fundamental waveforms like sine, square, triangle, or sawtooth waves. Sample-based synths typically require less CPU power than other types of synths, such as physical modeling synths, because they use prerecorded samples on your hard drive as opposed to calculating an output signal in real-time. On top of this, they tend to have higher polyphony counts than analog synthesizers because their circuitry doesn’t need to be duplicated to produce more voices. Multi-sampled instruments fall under the category of sample-based synthesis. Devices like Kontakt by Native Instruments allow you to load different multi-sampled instrument libraries. The way a multi-sampled instrument is made is by recording a single instrument playing multiple different notes, at different velocities, and with many different articulations. 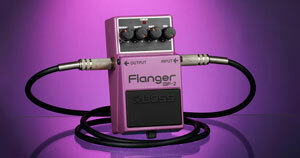 The result is a playable instrument that allows you to emulate the performance of a session instrumentalist closely. Multi-sampled instruments often require a large number of samples to operate correctly; this can take up a lot of space on your computer, so it’s usually a good idea to save these instruments on an external hard drive. Make sure to use a high-speed connection like Thunderbolt 3 to ensure that samples load quickly off of your external drive. Joshua Casper has provided a useful tutorial on how to create your own multi-sampled instruments using Ableton’s Sampler. If you’re not an Ableton user no worries, it’s just as easy to develop multi-sampled instruments using Kontakt. Granular synthesizers sample a sound source and split the samples into smaller pieces called grains. These grains are typically around 1 to 50 ms in length, can be layered on top of each other, and may play at different speeds, phases, frequencies, etc. 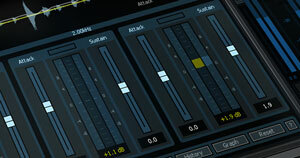 Granular synthesis allows you to speed up or slow down audio independent of pitch. This was quite a unique ability back in the day, but now other devices (typically pitch correction software, such as Melodyne by Celemony) allow you to achieve a similar effect by using methods focused around granulation. White Noises released a video that explains granular synthesis using various modules by Mutable Instruments. He demonstrates the abstract concept of granular synthesis using easy-to-understand visuals, and dreamy synth landscapes. A wildly popular synth that uses granular synthesis is Omnisphere 2 by Spectrasonics; it comes with so many excellent presets that people often neglect what it’s capable of under the hood. Modular synthesis uses modules (separate hardware components) to generate and process signal. These modules can be connected together using patch cables. Modular synths allow you to join together modules from different manufacturers, as long as they fit within the same case and use the same electrical specifications. This makes modular synthesis a dream come true for synth enthusiasts looking to create custom signal chains. Semi-modular synthesizers are produced by a single manufacturer and are sold as a single instrument. They don’t give you the ability to swap out modules, and the basic configuration comes pre-wired. The thing that makes these units semi-modular is the ability to connect the included modules in different orders using patch cables. If you watched the previous video on granular synthesis, you might have noticed the synth being used was actually a collection of smaller components. White Noises was handling a case with 12 modules loaded into it, and he was connecting the modules together using patch cables. The synth he was using a modular synth. Eurorack synthesis is a specific type of synthesis that's based on modules that share the same height and various widths. It allows you to buy modules, racks, and cases from different manufacturers and rest assured that they’ll work together. One of the nice things about Eurorack synthesis is that it’s analog (which is always fun) and you can start off with just a couple of modules. When your budget allows for it, you can grow your Eurorack arsenal, and slowly take over your mother’s basement. She’ll love you for it. Future Music Magazine has a great video on Eurorack modular synthesis. DivKid breaks down the basics of Eurorack synthesis and builds a sound live using his Eurorack gear. 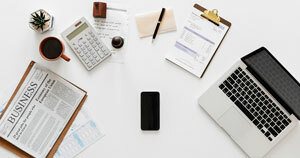 He applies many of the concepts covered in this guide, so what he’s talking about should be quite familiar to you. To get started with your own Eurorack synthesizer, check out Sweetwater’s Eurorack department. Audio synthesis is a vast subject, but it’s something that you can have fun exploring with a little bit of knowledge under your belt. You should now have a basic understanding of the components that drive a majority of synths. A trip to Guitar Center may be in order so that you go to town with the display units in their synth section. I’ve presented you with many different types of synthesis in an attempt to nudge you further down an avenue that may interest you. Now that you know what’s available out there, you can continue to pursue synthesis however you see fit. I’ve covered the fundamentals, but I encourage you to dive deeper; there’s a whole world of creative possibilities waiting for you.